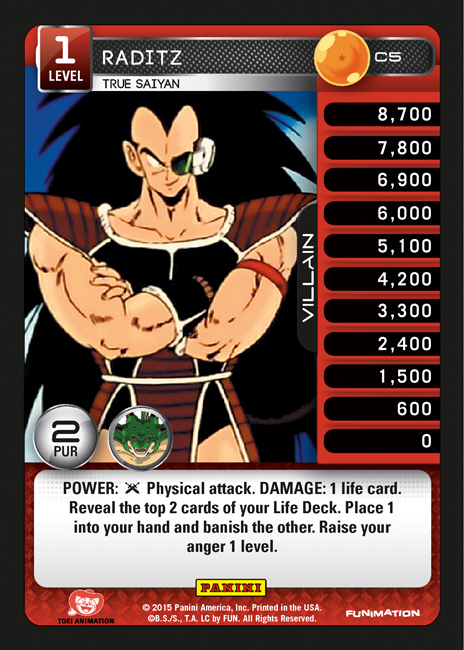 This edition of Card of the Week features our final preview from Heroes & Villains – Raditz! Let’s take a look. Raditz Level 1 is a versatile option, capable of excelling in multiple archetypes. 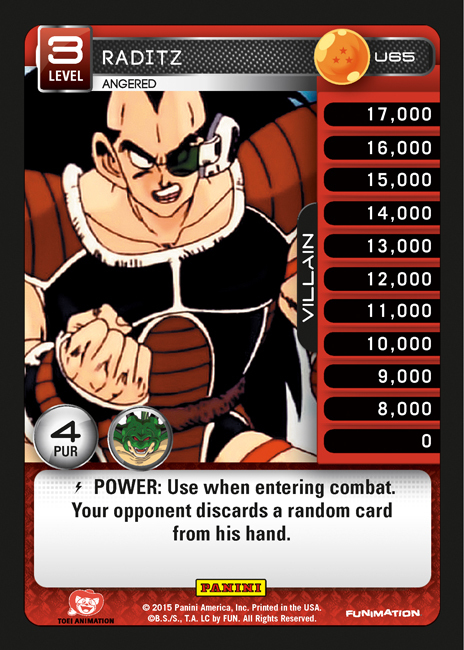 Card advantage is always valuable, and Raditz’s ability to filter through your deck gives quick access to your key cards. 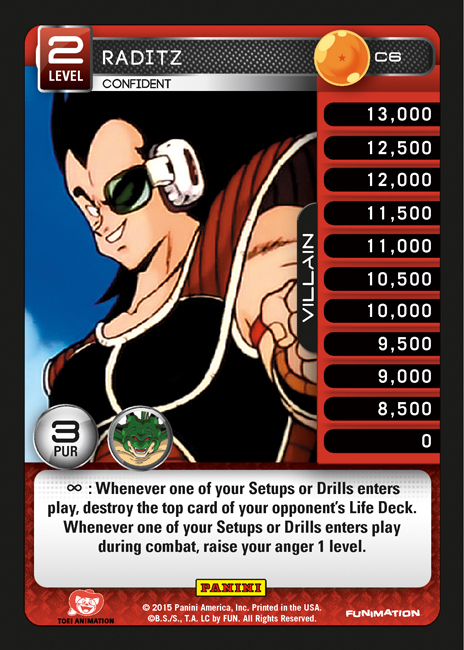 You won’t be able to stay on Level 1 forever, and deciding when to jump to Raditz – Confident will require careful thought. While on Level 2, a sufficient amount of Drills and Setups will ensure quick advancement to Level 3. Raditz – Angered is one of the most powerful effects in the game, with applications in both aggressive and controlling strategies. If you manage to reach Raditz – Triumphant, there are several combo interactions to win the game in short order. 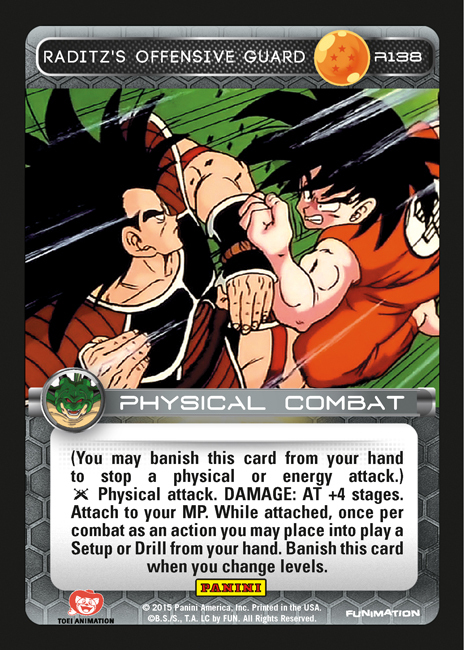 Raditz’s Offensive Guard is a powerhouse card, and it will serve to define the entire direction of your deck. When paired with Blue Taming Technique or Orange Guardian Drill, you’ll be able to consistently throw down any dead cards during an opponent’s combat. In Red decks, some of the seldom seen Setups that raise anger may become more attractive options. Even Saiyan decks may benefit from using Raditz with Saiyan Body Blow. 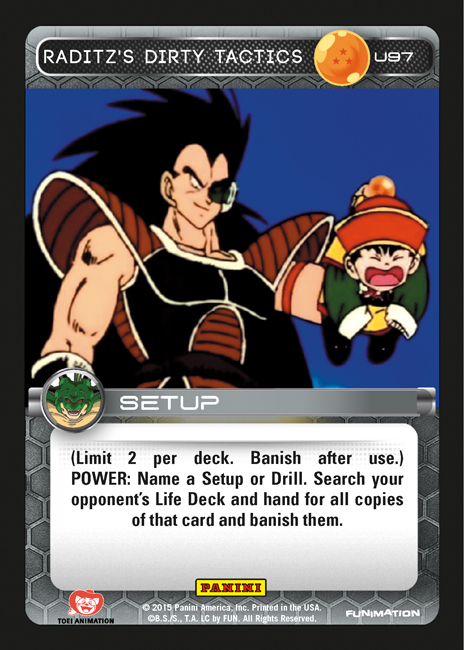 Raditz’s Dirty Tactics is devastating against several common matchups. When paired with Black Searching Technique and Black Scout Maneuver, you might be able to pick apart your opponent’s strategy before it gets off the ground. In other Styles, access to such a unique effect may be able to compensate for a lack of Setup/Drill removal. For any fans of Saiyan Appraisal Maneuver from the old game, Raditz is your guy! 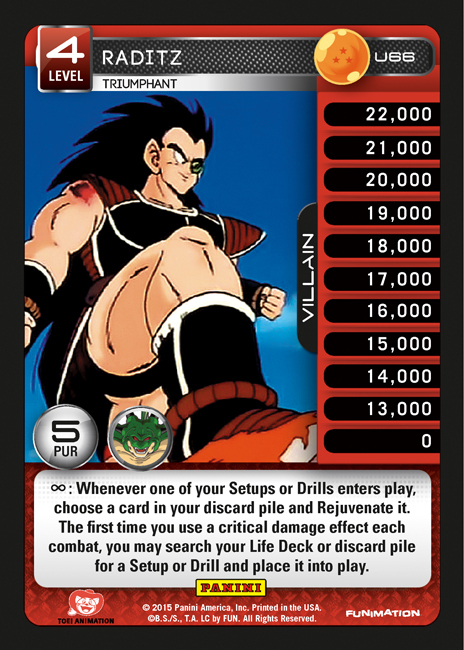 I hope you’re all looking forward to trying Raditz when Heroes & Villains hits store shelves on March 6th. I can see this working well with Black, Orange, or blue. If Saiyan had any useful drills, you could add Saiyan to the list. Going to try and put him in either a saiyan or red deck. im pretty stoked on Raditz though. Nail too should be alot of fun.